Had to do a double take on this 2014 helmet they partnered up on together since it is so friggin close to identical to the 2010 Arai they put out when I bought my 1198s Corse! Except for the red/green stripes it looks damn close wouldn't ya say? Wish they would at least use the high end version of something like the Pista on their stuff since its already a damn grand too! Thank goodness Im not a helmet collector like MarkNYC is, or even some of you others! Hey, matter of fact - lets see who has the most helmets here on this forum! BTW- yeah yeah, I know this crap has already been done somewhere in here I assume, but WTF - nothing else is going on ya know? my helmet sickness is coming back. anyway here is what i have currently. the bell i ride in the summer with the transition shield. the rf1200 is spring fall and the x12 is track day. i pre ordered this but just canceled because it wont be here till oct and i put my bikes away in nov so it saved me 500 bucks. others i have had. my favorite helmet was the suomy spec 1 r extream wall st edition. felt like it was custom made for my head but suomy changed their shell shape and its no longer an option. 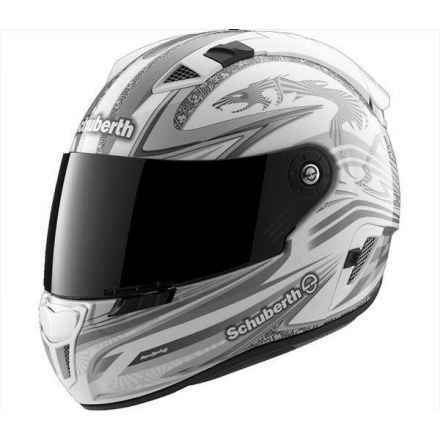 My favorite helmet now is the shoei x12 its the closest fit to the suomy and love the way it feels. A close second is the bell star. i love the features and only helmet i ride in the summer (transition shield and air flow). you can ride all day and night without carrying a shield. It would be number 1 if it fit slightly better but its perfect for the street. my least favorite and yes i have had an rf1000 and have an rf1200 and had a bell rs 1 (i say that because they are allegedly a step down from the premier helmets) is the arai. just doesnt do it for me. So how many lids do ya have TOTAL then Mark? right now i have 3 the ones in the first pictures are the only ones in my closet at the moment but this thread might throw 1 or 2 more . i love the rossi turtle and i love the rossi double face. ( i know i know i dont want to hear it love the way they look) i love the speed machine and green mamba hjc. i would love to try a schburth technology. JEEZ IM NOT COMING BACK TO THIS THREAD. Yup. Looks like its just me and you. lol. I have a ton of helmets as well, but I cannot take pics of them as I'm at work. I have a defense however... I buy lids for my kids and the girlfriend as well. people will come gunny give it time. i have the bell star as well (cerswinke, not carbon) great helmet, well ventilated. until last saturday i was sporting a white Schuberth S1, which, well, did his job well. could have gone with the technology for 379 euros, but since i mostly take it to the track, i didn't bother.